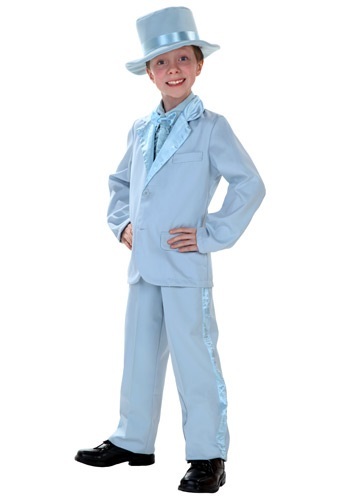 Child Blue Tuxedo By: Fun Costumes for the 2015 Costume season. Does your little guy possess so much swagger that it is actually alarming? If so, he needs this Child Blue Tuxedo. He'll love feeling dapper in this three piece suit with the included plush hat. He'll be the ladies' favorite in this stylish suit. This is ideal for classy men in the making!